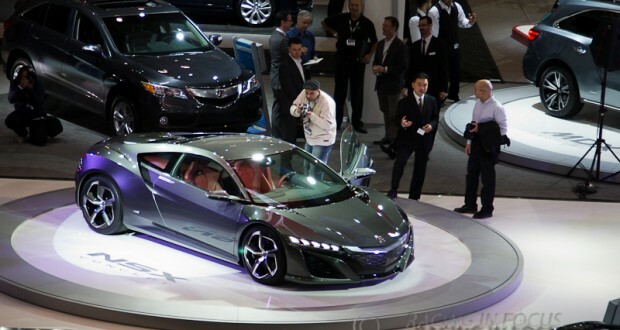 The 43rd annual Canadian International Auto Show (CIAS) will be held at the Metro Toronto Convention Centre and is open to the public between February 12th and 21st 2016. While the cars and trucks themselves — new vehicles, concepts, Canadian and North American unveils — are the main attraction of the 2016 Canadian International Auto Show, an exciting lineup of feature attractions will inform and entertain throughout the 10 days of the show. 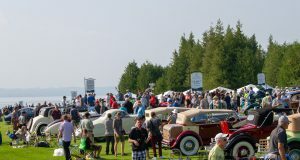 Art and the Automobile presented by Cobble Beach Concours D’Elegance will display the advertising used to entice people to buy some iconic classic cars over the first 60 years of the automobile. 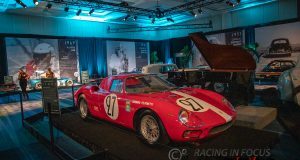 Auto Exotica, always a crowd favourite, brings together some of the world’s most exclusive automotive brands, such as Ferrari, Maserati, Aston Martin, Lamborghini, Bentley, Rolls Royce, Tesla, McLaren, Pagani and Lotus to wow attendees and inspire dreams. The powerful yellow 1969 Corvette driven by celebrity TV chef Guy Fieri will headline Cars & Stars, a showcase of vehicles — and their owners — that have gained fame in pop culture. Power, engineering and creativity is on display with Hot Rods and Choppers featuring Kreater Custom Motorcycles. The Ontario government and the Automotive Parts Manufacturers Association will help us look at the Connected Car and where we are headed in the future. The Ford Performance Zone is a collection of Ford performance vehicles with a basketball themed celebration, a nod to the NBA All-Star Game at the Air Canada Centre on the opening weekend of the AutoShow. This spring will mark the 100th Indy 500, and to help mark the occasion the Indianapolis Motor Speedway and Museum is bringing a unique collection that showcases some of the iconic vehicles that have raced at the speedway over the past century while highlighting the many Canadians who have pursued glory at this fabled race. Street Tuners, led by Eurocharged Canada, is a spectacular display of luxury performance cars like the Audi R8, Mercedes AMG and Ferrari 458. With more than 650,000 square feet of exhibits, displays and attractions at the Metro Toronto Convention Centre, the Canadian International AutoShow is not only the largest automotive expo in Canada, it is also the country’s largest consumer show. Boasting more than 1,000 cars, trucks, SUVs, concept cars, exotics, classics, motorcycles and alternative energy vehicles, the AutoShow is a leader in lifestyle, technology and all things automotive. 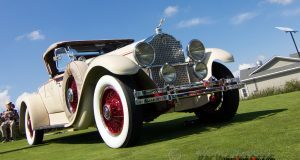 For more information or to buy tickets, please visit www.autoshow.ca.